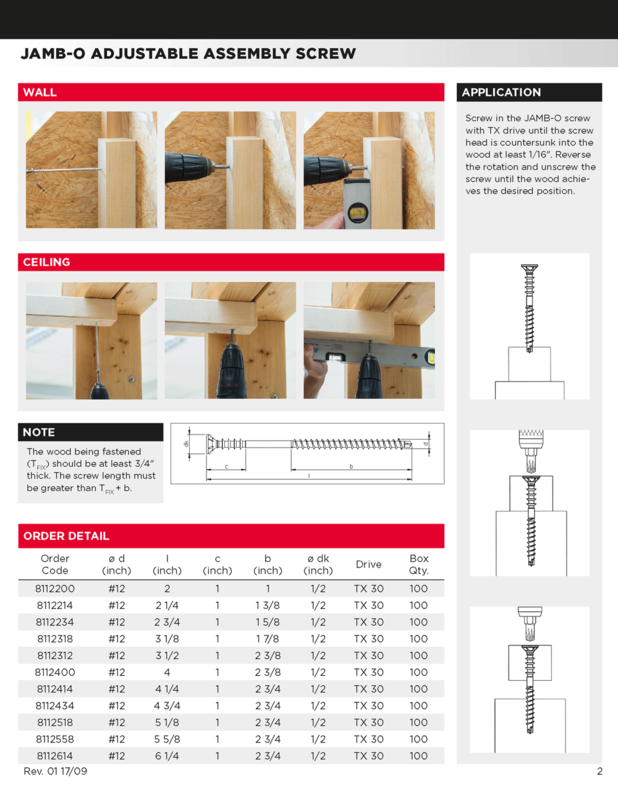 The MKT Jamb-O Screw is specially designed for spacing wood construction members and it eliminates shimming when installing cabinets, windows and doors. 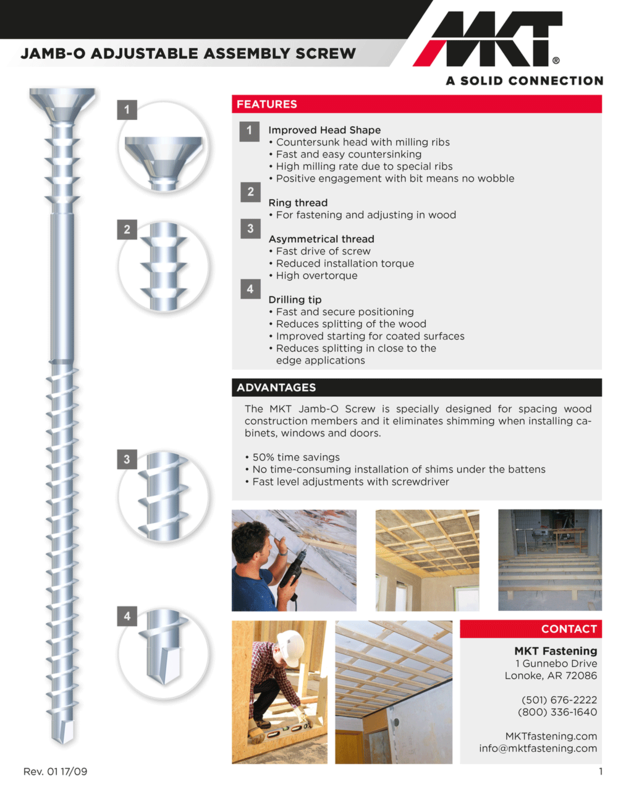 Screw in the JAMB-O screw with TX drive until the screw head is countersunk into the wood at least 1/16”. Reverse the rotation and unscrew the screw until the wood achieves the desired position.